(AFP) – Our Sun is much like other stars, and not an anomaly because of its magnetic poles that flip every 11 years, scientists said Thursday. The report in the journal Science aims to lay to rest the controversy over whether our solar system’s star is cyclic, like other nearby, solar-type stars. “We have shed light on a fundamental mechanism which determines the length of these cycles, which helps us understand the cycle itself over the long-term,” lead author Antoine Strugarek, a researcher at the University of Montreal, told AFP. Activity on the Sun, from the number of sunspots to levels of radiation and ejection of material, varies on an 11-year cycle. These changes are driven by the Sun’s magnetic field. Scientists have long believed that our Sun was unusual because it did not match the magnetic cycles observed on other solar-type stars. 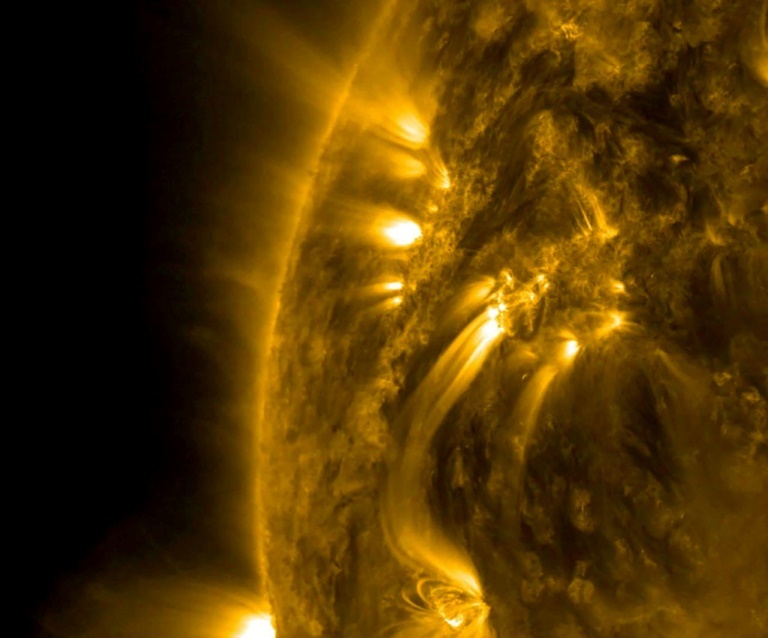 So researchers carried out a series of simulations of stellar magnetic fields, and showed that the Sun’s magnetic cycle depends on its rotation rate and luminosity, said the report. They compared their simulations with observations of cyclic activity in nearby solar-type stars, and found that indeed, the cycle periods of the Sun and other solar-type stars all follow the same relationship. “This research shows that the 11-year cycle is the principal cycle of all solar-type stars,” said Allan Sacha Brun, Head of the Laboratory Dynamics of Stars and their Environment and principal investigator of the European Research Council project called STARS2.